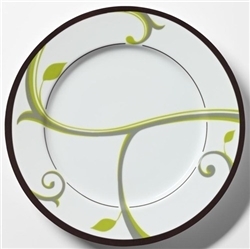 The 10″ Portion Control plate on the other hand (also called “LIFE-style” plate), does not have any dietary guidelines printed on to the plate but have the same stunning design that is on the Precise Portions 9″ FOCUS plate. 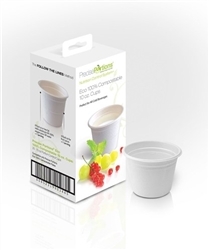 For this, reason, our 10″ Rim plates are also called “LIFE-style” Plates because they can be used during family get-togethers or parties without making it obvious to anyone that you are following any sort of health guidelines. The familiar and beautifully laid out graphics unconsciously reminds you of your health goals without making it obvious to others who might be dining with you. 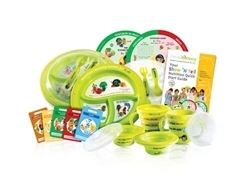 Included in the box are 5 well designed disposable placemats. 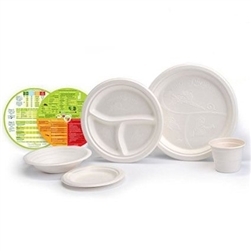 Each disposable placemat has dietary information printed on both sides in a manner that is easy to understand and follow. 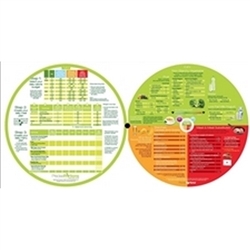 Again, the information printed on the Precise Portion disposable placemats is based on advice provided by the American Dietetic Association and American Diabetics Association. Apart from all this, the box also includes a Quick Start Guide that provides excellent dietary information on how best to achieve maximum benefit out of our portion control plates.